All Ielasi motors are hand tuned, but Daniele doesn’t do a modifying service for just any engine as you see many modifiers similar to Murnan do... The new Raptor .21 is Daniele’s variant to the new Mephisto Line from Novarossi. Consumers have the same access to the product they see run, there is no team special motor they are all good. 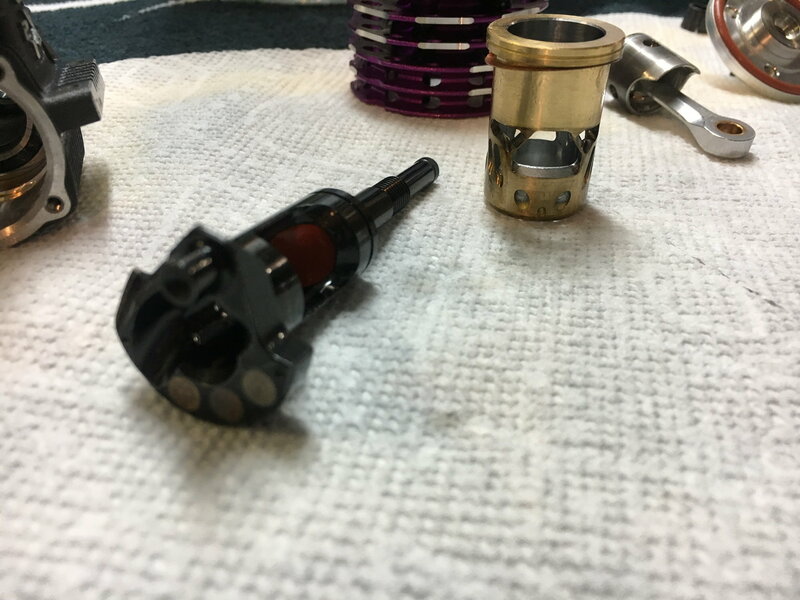 A key difference other than the mods internally are the tolerance and roundness of the piston sleeve, and overall fit of the parts. You’re guaranteed a good engine, and noticeable difference in performance. My Ielasi Pre-run was really good this past weekend. I ran it on the rich side so that I wouldn't hurt the motor, especially since its new.. I'm only running the Ielasi Line of engines!! 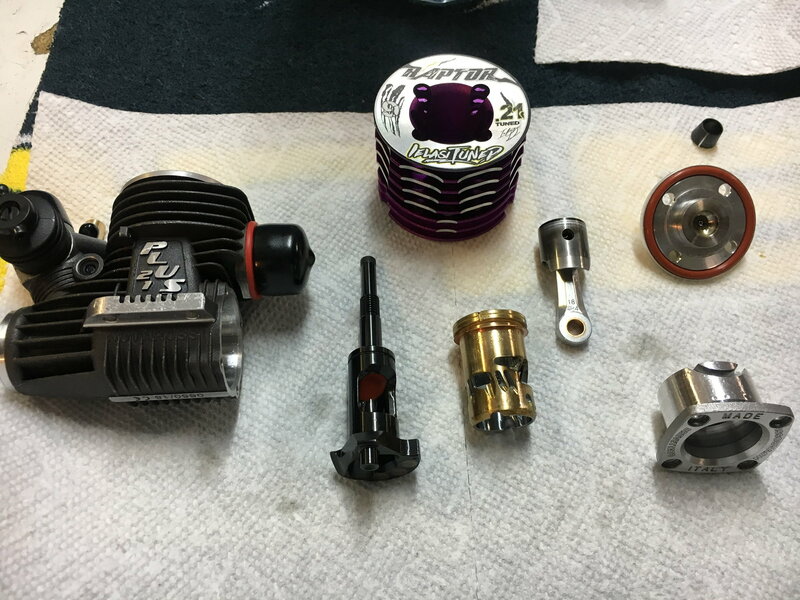 Pics of hand modifying is just what most people want to see but do you think the many hundreds of engines he has sold are done by hand? As for the quality how is the quality of the new Ielasi engines? How are they compared to Reds and Picco? I’ve owned 4, the tolerances, consistency and quality of these engines (being Nova based) are second to none. The new Raptor 21 is a hybrid Mephisto (but with all the good proven bits). I own three 9CL engines. I can see the difference between hand and machine work and all I can say it is just machine work. If the chrome of the sleeve is also shown within the ports, then you can say there is no afterwork on the ports. These teardrops and port timing is all done on the CNC machine before being chromed. 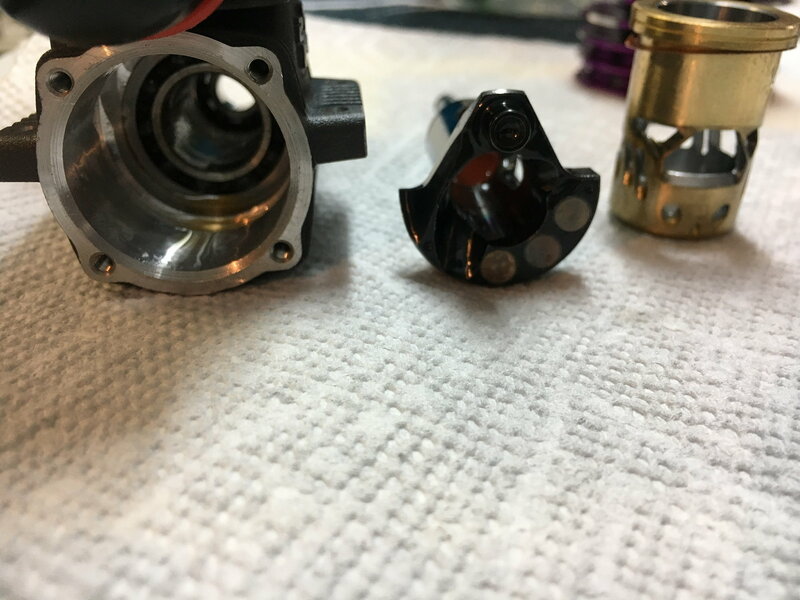 Face it, in the RC world we are fooled with all kind of interesting terms like "special develloped", "special designed" etc so when people can buy a "hand modified" engine for the same price as a stock machined engine the chance of getting customers for the hand tuned will make it higher. I have seen the partslist of the new Raptor, supprising is that 2 crankshafts are mentioned, one for the ceramic version and one for the steel bearing version. That is strange, to me it sounds that the ceramic version should be made faster. This is their new specially-formulated high-quality REDS airfilter oil, for that price you can buy 2 large cans of Putoline oil which is the same. choisan and GREGORY! like this. I’ll be honest your basically a professional troll. It’s nice that you may have an opinion but saying that Daniele has built his company off of lies is a big statement. Especially without any proof or long term experience with his engines. The message you are trying to convey is all just that, your own opinion. Which also seems Bais in overall tone... At any rate why don’t you make your own forum to go push that agenda, please keep that energy out of this one. Nothing but good people in here supporting a brand that they like and appreciate. Here are some pics of the new .21 From Ielasi Tuned. Last edited by D-nicest; 08-23-2018 at 05:41 AM. I saw in the partnumbers of the Raptor that the P/S set is a Keep-on set while the Mesphito has a new partnumber. Nice to see the ring under the lip of the sleeve, that is a simple tuning w/o the need of handwork but not mentioned in the exploded view. Ielasi Tuned is my choice. As a professional in this sport I feel that customer service goes a long way. That being said I've had nothing but great experiences with the engines performance since the first one that I had two years ago. Hes showed me tremendous track support everytime at the various races here in the states. I've never had the power or performance from other companies that I've used in the past. I can honestly say that every engine has performed as advertised. They all been fast and reliable. That's all I can ask for. I constantly open the engines and inspect each one through the life span, and I've noticed great wear and nothing to be concerned about. I will continue to invest my time and money in these engines. I tested with Max power engine, it comes with 0.1mm under sleeve shim, but remove 0.1mm head shim to maintain the headroom clearance. The top end is screaming alot. Man, look at all those tiny little auxiliary ports. What do the ones directly underneath the exhaust port even do? The piston doesn't travel far enough to expose them. As mentioned cooling but also lubrication. davidl and nitrodude like this.